Fundraising - Sound. Appearance. Precision. All funds allocated to Student or Band Accounts will be done so after operating costs are deducted. Any money returned following an fundraising event or payments made to the Band Parents Association must be in an envelope, clearly marked with the student’s name, the amount of money and the reason (i.e. tour payment, pie orders etc). 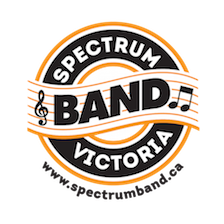 The Spectrum Band Parents Association uses the funds identified as “Band Account” for the purchase of musical instruments and equipment, uniforms for the band students, as well as other items identified by the Band Director to assist in the delivery of his music program. *The Spectrum Band Parents Association uses the funds identified as “Band Account” for the purchase of musical instruments and equipment, uniforms for the band students, as well as otheritems identified by the Band Director to assist in the delivery of his music program.